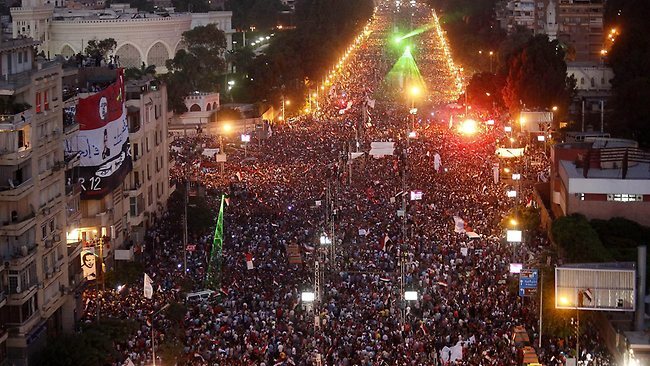 Millions of Egyptians marked the first anniversary of President Morsi’s term with protests. It’s been a fascinating week to study Egyptian politics. Massive popular protests—estimated by the BBC to have numbered in the millions and to have been the largest political protests in the history of the world—rocked the streets of Cairo, Alexandra, and other Egyptian cities on Monday and Tuesday. 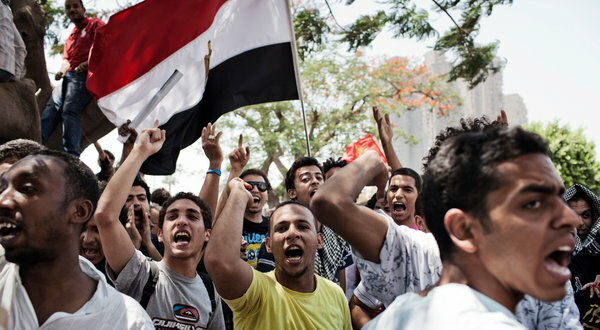 Protesters were angered by the lack of progress by the Egyptian government in addressing the economic challenges faced by the country. On Tuesday, the Egyptian military warned President Mohammed Morsi—Egypt’s first democratically-elected President—that he had until Wednesday night to “meet the demands of the people” or it would step in and restore order. Then, on Wednesday night, the Egyptian military followed through on its promise, seizing control of the media, placing Morsi under house arrest, and naming Adly Mansour, a little-known constitutional judge, as interim president. The developments in Egypt present interesting challenges for the global community. As leader of the Muslim Brotherhood, Morsi had pursued a conservative approach to domestic politics, upsetting many moderate Egyptians. 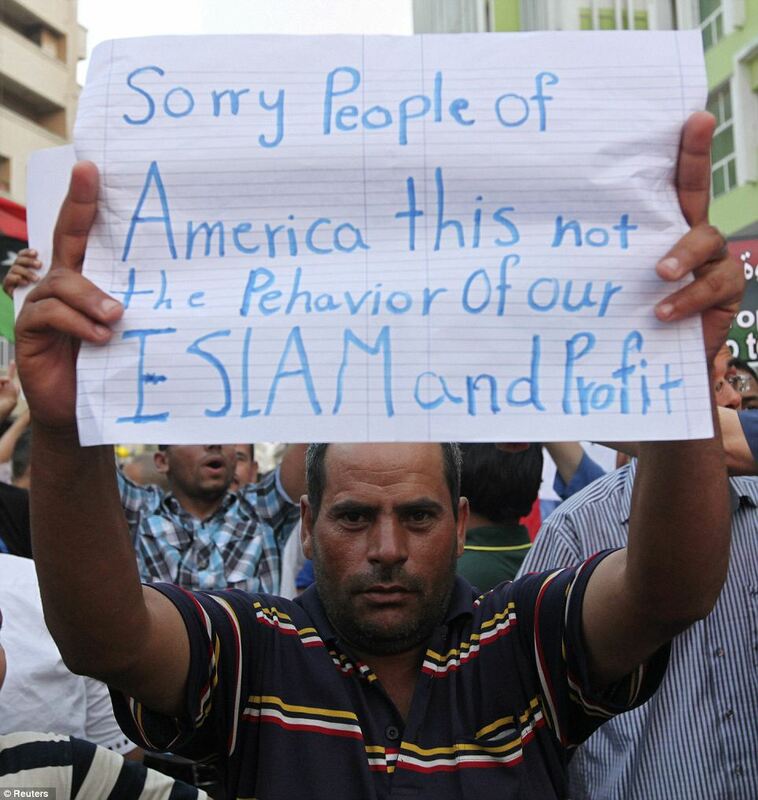 And Morsi was not popular in the global community. But how should the West respond? 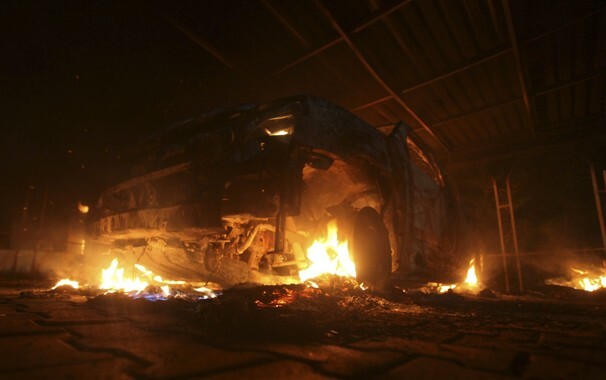 To date, most other governments have taken an extremely cautious approach in responding to developments in Egypt. President Barack Obama expressed “deep concern” over the seizure of power by the Egyptian military, and called on them to “move quickly and responsibility to return full authority back to a democratically elected civilian government as soon as possible through an inclusive and transparent process”. British Prime Minister David Cameron noted that Britain “never support[s] in countries the intervention by the military, but what needs to happen now in Egypt is for democracy to flourish and for a genuine democratic transition to take place.” German Chancellor Angela Merkel called for a political solution and a quick restoration of democracy. And the Russian Foreign Ministry issued a statement calling for all sides to exercise restraint. But no one appears to be particularly motivated to take more significant action, like recalling ambassadors, suspending aid to Egypt, or refusing to recognize the new government. In reality, there is little that most other countries are able or willing to do on the ground. The Egyptian military effectively ruled the country throughout most of its recent history and is probably the most stable and influential force in contemporary Egyptian politics. What do you think? Was the Egyptian military justified in its decision to overthrow the Morsi government? Or should it have waited for the next presidential election in three years? Take the poll or leave a comment below and let us know what you think. 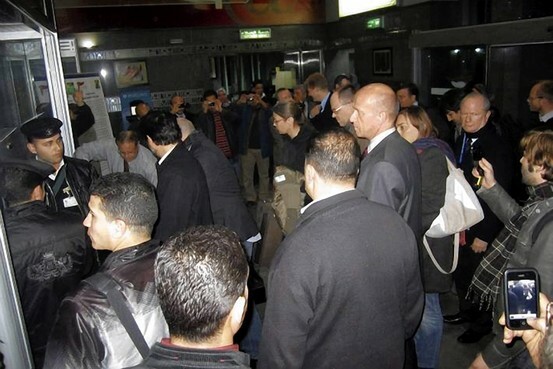 U.S. pro-democracy workers board a flight in Egypt before departing the country on March 1, 2012. The charges against the Americans have not been dropped. What do you think? 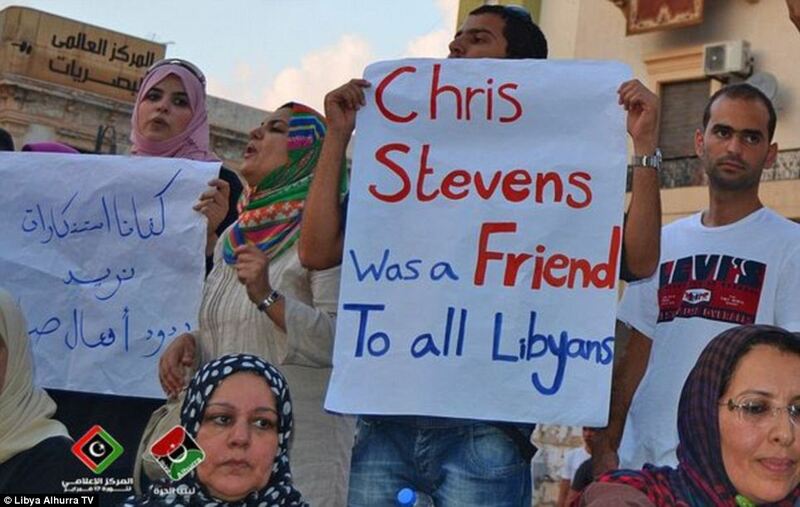 Should western governments interested in promoting democracy sever or hide their ties to pro-democracy NGOs abroad? Or will this weaken organizations that need state backing to achieve their goals? Will autocratic governments threatened by pro-democracy NGOs really stop the harassment simply because these groups are certifiably independent of foreign governments?